This is the best museum we've ever visited so far ! good deal when you buy from Klook, make sure to come early since we have to go on a normal queue just like if you buy in the site and get the audio so you can understand better (when you queue to get the audio make sure to bring at least one ID for them to collect). They have a place if you don't want to bring your coat during the visit and it's free of charge . It's really worth the visit when you are in NY ! 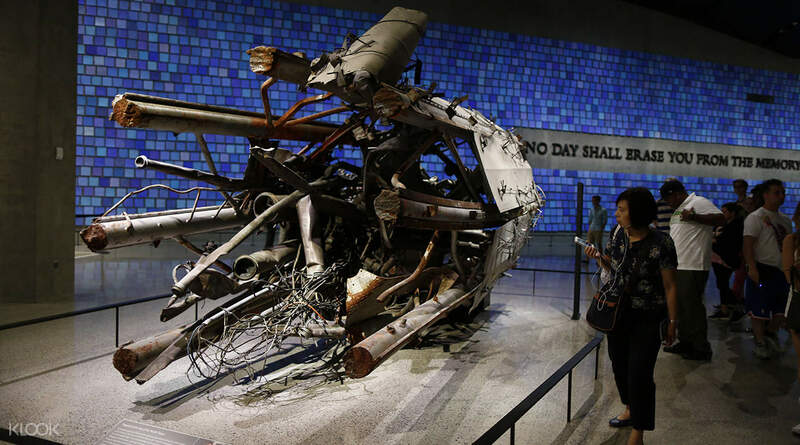 In recent history, no moment has ever made such a profound impact in world history as the events that took place in New York City, on September 11th, 2001. It's a day that continues to haunt the memories of the survivors and the citizens in New York City. 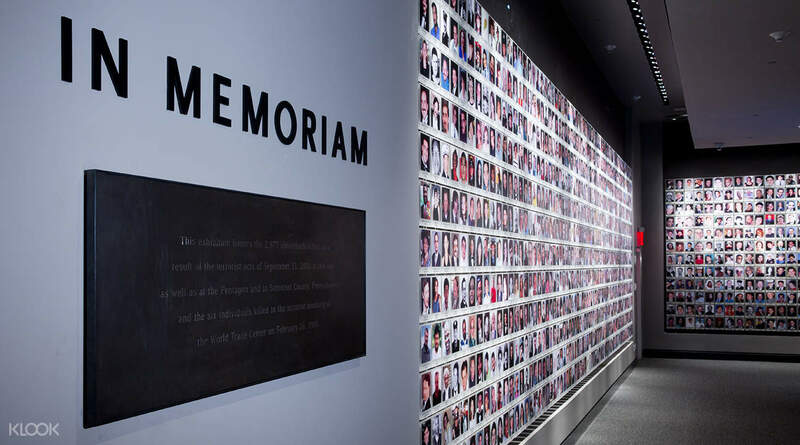 The 9/11 Memorial Museum is the best way for vistors to see and understand how deeply the city and the world has been affected by the events of 9/11: how the events took place that day which includes the events within the World Trade Center and the Pentagon, and the fateful moments on Flight 93. You'll even discover the background that led up to these events, and how ultimately, history would be forever changed by this massive event. You'll see numerous exhibitions featuring artists, survivors and the stories of those who passed away. Feature films occur daily within the museum, giving you further understanding of history, and will fill you with the deep, profound knowledge of the events and the people whose lives have been affected by that day. This is the best museum we've ever visited so far ! good deal when you buy from Klook, make sure to come early since we have to go on a normal queue just like if you buy in the site and get the audio so you can understand better (when you queue to get the audio make sure to bring at least one ID for them to collect). They have a place if you don't want to bring your coat during the visit and it's free of charge . It's really worth the visit when you are in NY ! This is the best museum we've ever visited so far ! good deal when you buy from Klook, make sure to come early since we have to go on a normal queue just like if you buy in the site and get the audio so you can understand better (when you queue to get the audio make sure to bring at least one ID for them to collect). They have a place if you don't want to bring your coat during the visit and it's free of charge . It's really worth the visit when you are in NY ! Not only do you save on the ticket, you also get to skip the queue and go straight into the museum (lots of time saved here as crowds can get quite big). The museum is a must do even if it's not the happiest of places, a real eye opener! Not only do you save on the ticket, you also get to skip the queue and go straight into the museum (lots of time saved here as crowds can get quite big). The museum is a must do even if it's not the happiest of places, a real eye opener! You don’t need to queue in the long line to buy the tickets at the ticket office. Just show the Klook vouchers at the museum entrance, the guard will scan the Klook vouchers and you can go directly into the museum. You don’t need to queue in the long line to buy the tickets at the ticket office. Just show the Klook vouchers at the museum entrance, the guard will scan the Klook vouchers and you can go directly into the museum. The memorial pools where the two towers used to occupy remind us just how fragile life can be, close to 3000 lives wiped out on the morning of Sep 11. Do look out for familiar names, like the downed PAPD officers from the World Trade Center film in 2006. The museum underground details the events on the morning of Sep 11. The artifacts on display, like the Ladder 3 Fire Engine, reminds you just how real are the events on Sep 11. This is not a Hollywood movie, this is a real terrorist attack on American soil. 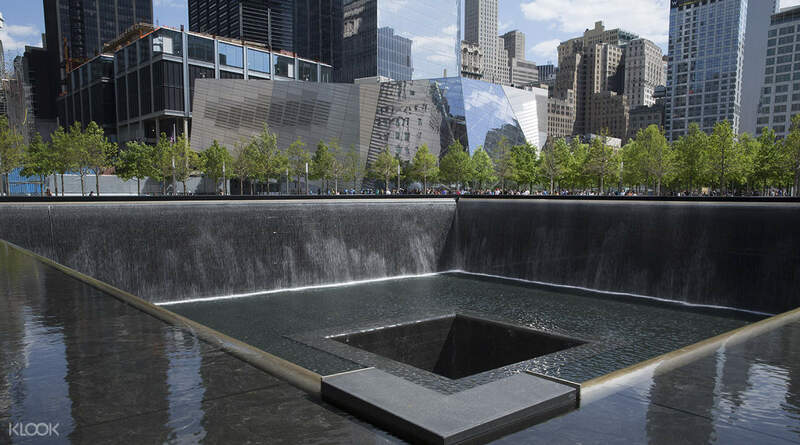 The memorial pools where the two towers used to occupy remind us just how fragile life can be, close to 3000 lives wiped out on the morning of Sep 11. Do look out for familiar names, like the downed PAPD officers from the World Trade Center film in 2006. 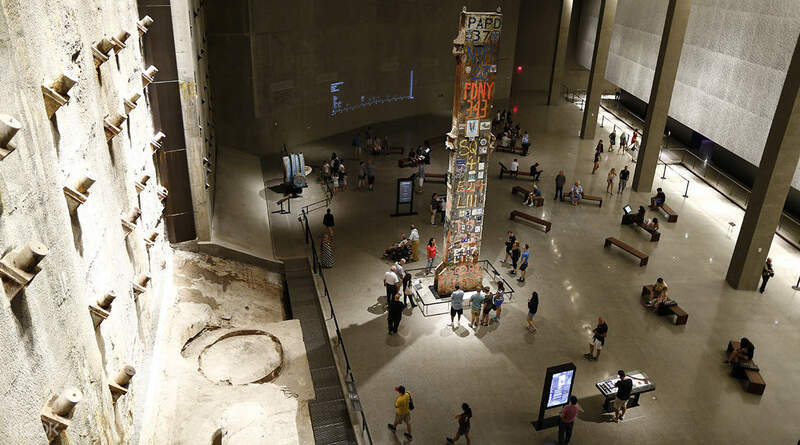 The museum underground details the events on the morning of Sep 11. The artifacts on display, like the Ladder 3 Fire Engine, reminds you just how real are the events on Sep 11. This is not a Hollywood movie, this is a real terrorist attack on American soil. My 12 year old son and I just traveled to NYC for the first time last week. We made it a point to get to ground zero and to see the Memorial and the Museum. My son learned so much and put that very sad day into perspective for both of us.Well worth taking the time to go through and experience. My 12 year old son and I just traveled to NYC for the first time last week. We made it a point to get to ground zero and to see the Memorial and the Museum. My son learned so much and put that very sad day into perspective for both of us.Well worth taking the time to go through and experience. 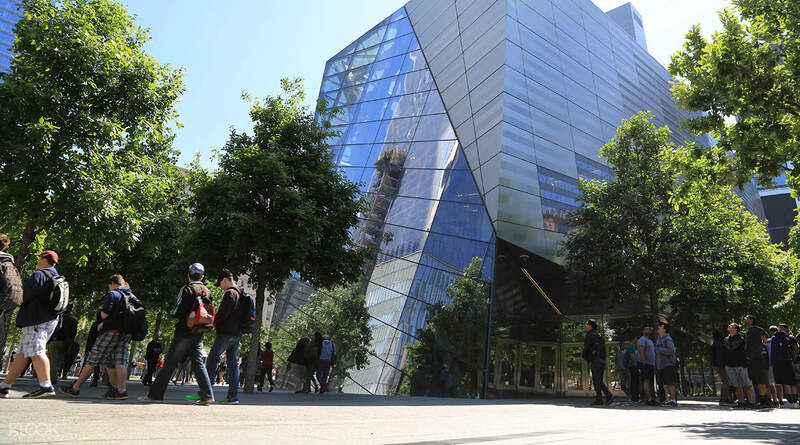 A Must Go Museum in New York. I spent more than 3 hours inside this museum. They share recording, pics, videos and stuff during the whole 911. A Must Go Museum in New York. I spent more than 3 hours inside this museum. They share recording, pics, videos and stuff during the whole 911. Must-see when in NYC. Did not have to pick up any additional tickets. Go early to avoid lines! Must-see when in NYC. Did not have to pick up any additional tickets. Go early to avoid lines!